What is monkey fist and its use on Ships ? 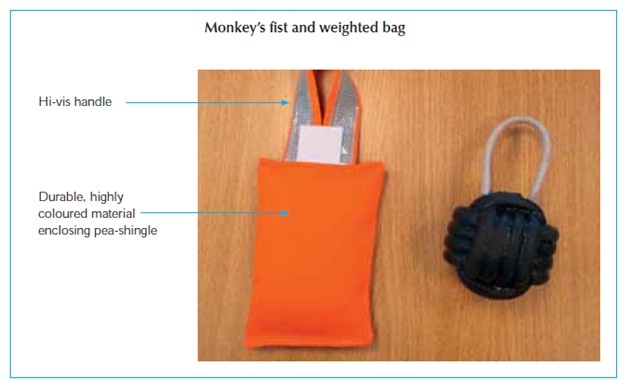 To prevent personal injury to those receiving heaving lines, the ‘monkey’s fist’ should be made with rope only and must not contain added weighting material. Safe alternatives include a small high-visibility soft pouch, filled with fast-draining pea shingle or similar, with a weight of not more than 0.5 kg. Under no circumstances is a line to be weighted by items such as shackles, bolts or nuts, or twist locks.